The son of a soldier, Kevin Ivison was educated at Welbeck College and the Royal Military Academy Sandhurst. 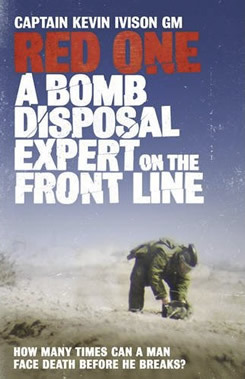 He was commissioned into the Royal Logistic Corps in December 2000 aged nineteen and spent most of his career in counter terrorist operations focusing of bomb disposal and weapons intelligence including deployments to Afghanistan, Iraq and the Balkans. 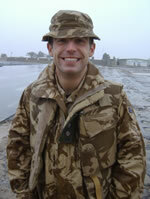 In September 2006 he was awarded the George Medal for gallantry defusing a bomb under fire in Iraq. I wrote Red One during a period of leave toward the end of my army career in order to keep myself out of mischief and record my own experiences for my family and friends with a view to possible publication. An exhaustive search of the Writer’s and Artist's yearbook had highlighted about twenty agents that seemed to take military nonfiction. I saw that Andrew had acted as agent for Doug Beattie, Adrian Weale and Duncan Falconer and placed him at the top of my list of potential agents. A short phone call, email exchange, meeting and one week later I knew I was dealing with the right man for me and had signed with Andrew.